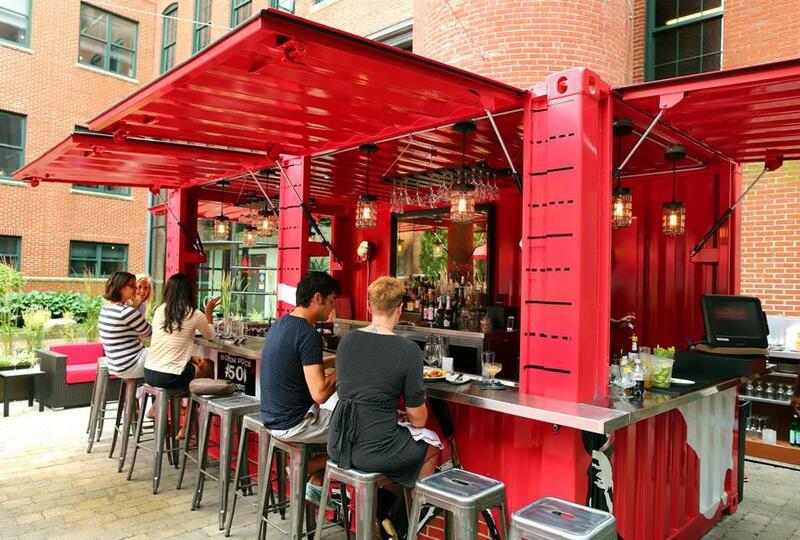 A shipping container is being used for an outdoor bar at Cinquecento Roman Trattoria in the South End. 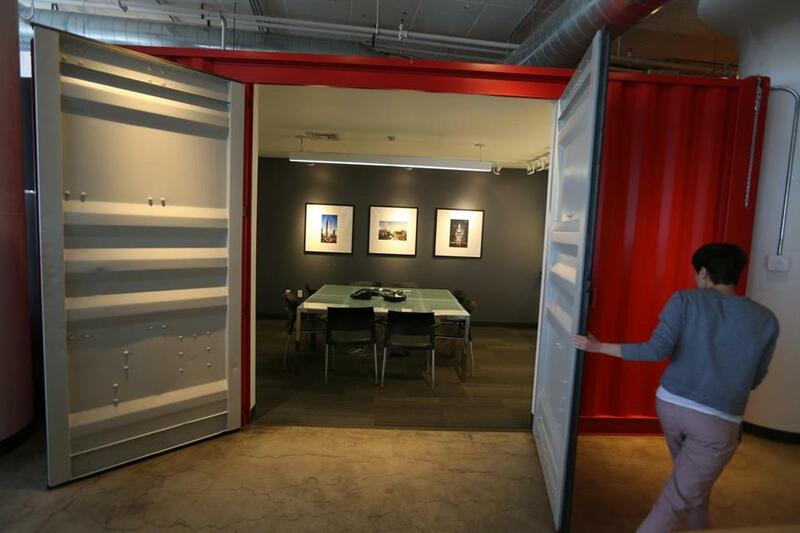 Shipping containers: hulking urban eyesores or sophisticated accessories? These days in Boston, it can be hard to tell. Once a staple of ports and scrapyards, shipping containers have taken on new life as the must-have design element of the moment, their gritty, sturdy frames doubling as a neighborhood bar, a mailroom, an office conference area, even a backyard farm. “It feels authentic. It’s rugged,” said Robert MacLeod, founder and chief executive at Neoscape Inc., a company that designs visuals for real estate developers. Neoscape has installed the parts of several shipping containers for use as a meeting room, a bathroom, and a workspace. “I think people are into the fact that you can get a lot of utility from just a box that usually houses consumer goods,” MacLeod said. Three years ago, the company created a fast-paced short video of a shipping container being dropped into its office to inform employees and clients of its move to the South Boston Waterfront. Heavy metal doors give away the origin of this meeting room, which was assembled at the offices of Neoscape in South Boston. Many of the customized containers that have cropped up around the city are made by Mini Warehousing Inc., a Mansfield company that estimates it has sold hundreds of refurbished and specialized storage containers over the past decade, with price tags that range from $20,000 to $90,000. “Once people recognize it, it’s in the back of their mind. You can’t forget it,” said Mini Warehousing’s president, Brian Quick. In recent years, Quick said, the normally mundane structures have picked up a “cool” factor. Clients no longer just want the standard box, they want containers to reflect their own style, Quick said. “It’s their idea we want to bring from a napkin sketch to the site,” he said. 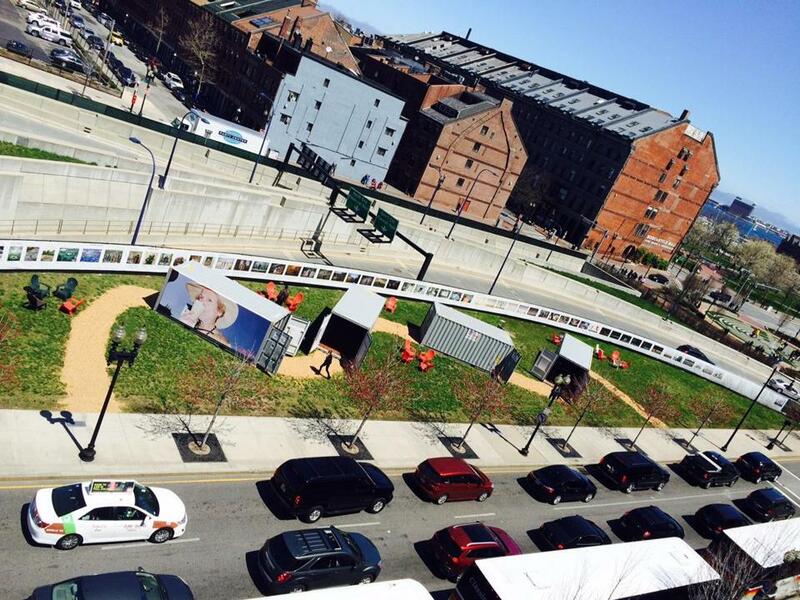 In April, Mini Warehousing installed six shipping containers on the Rose Fitzgerald Kennedy Greenway in Boston for an art exhibition, part of the Flash Forward Festival. In Somerville, shipping containers form a beer garden at American Fresh Brewhouse. Mini Warehousing Inc. installed six shipping containers on the Rose Fitzgerald Kennedy Greenway in Boston for an art exhibition as part of the Flash Forward Festival this spring. Perhaps Mini Warehousing’s most ambitious project is its work with Boston-based Freight Farms, which sells its shipping containers as backyard farms. Brad McNamara and Jon Friedman, the founders of Freight Farms, said they found that the boxes were structurally sound, economical, and flexible alternatives to rooftop gardens. Retrofitted containers about the size of the back of an 18-wheeler can handle about an acre of food production, addressing the rising concern about healthy food in dense urban communities. 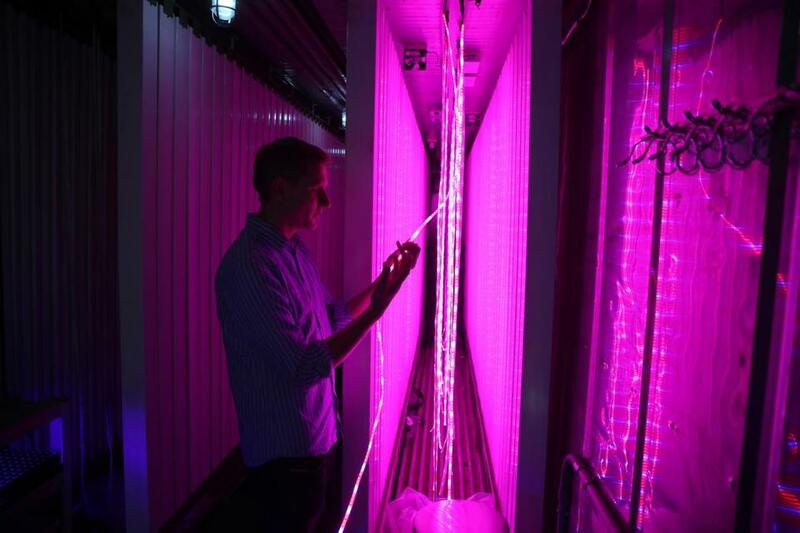 So far, the company has sold about 30 LED-lit, climate-controlled container farms that fit especially well in the tight spaces between city buildings. “Shipping containers are so cool because it’s a very international icon. You see it everywhere. You don’t know where it’s been. It’s probably been in more countries than you have ever been or ever heard of,” Friedman said. For every container repurposed for its functionality, another is used purely for its design aesthetic. 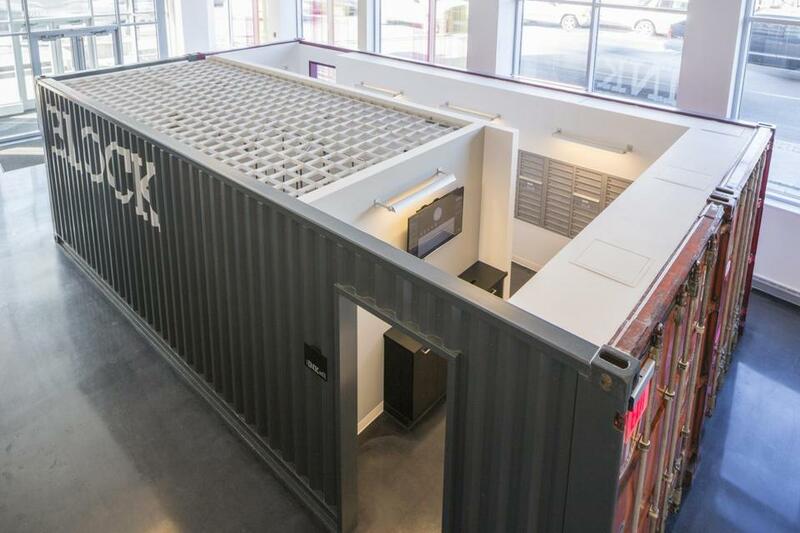 A repurposed shipping container was put into service as a mailroom at Ink Block apartments in the South End. At the new Ink Block apartment complex in the South End of Boston, two shipping containers joined together serve as a mailroom for the residents. A few blocks away on Harrison Avenue, Chris Glionna, the manager at Cinquecento restaurant, had never seen the repurposed storage units before last winter, when a fellow employee sent him a picture of shipping container hot dog stands in New Jersey. Team members decided they wanted one, too. A little more than a month after they ordered their big red container— one that had been customized by Mini Warehousing to serve as a bar — it arrived, ready for business. A conventional outdoor bar, Glionna estimated, would probably have cost three times as much and never would have been ready in time for the summer season. President and cofounder of Freight Farms demonstrated a growing system inside a repurposed shipping container. at karishma.mehrotra@globe.com. Follow her on Twitter @missmishma.